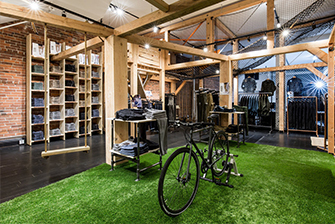 FormRoom work alongside PUMA to design, produce & install a series of pop-ups across the UK and Europe. 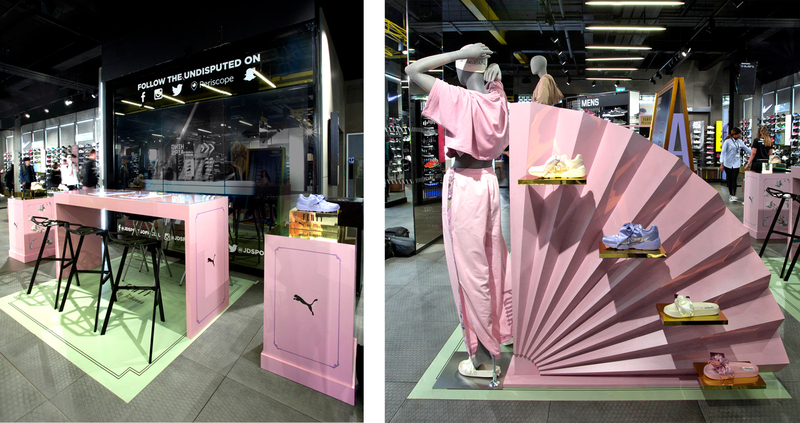 To celebrate the launch of the ‘Fenty by Rihanna’ SS17 Collection, FormRoom were invited to work alongside PUMA to design, produce and install a series of pop-ups across the UK and Europe, at retailers including Selfridges, Offspring, JD Sports and Lifestyle Sports. 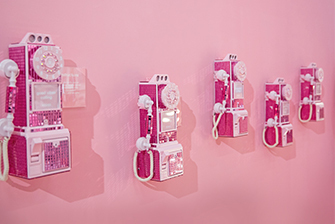 ​Taking inspiration directly from the catwalk show, which Rihanna as Creative Director describes as “Marie-Antoinette at the Gym” we took key moments, like Rihanna in head-to-toe pink, pearls and a lace Puma fan strutting down the catwalk, and worked to ensure we brought the sense of high fashion and fun to the store environments. 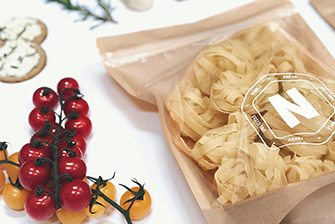 To see more photos from this project, visit FormRoom Pop-Ups.